I’m not certain that because the corporate offices changed from Madison Ave to Avon, CT that the printing facility changed. The title page on this one and on all my HC books of this period list the Heritage Press which was Macy’s printing facility. I am beginning to doubt very seriously that the printing facility changed. 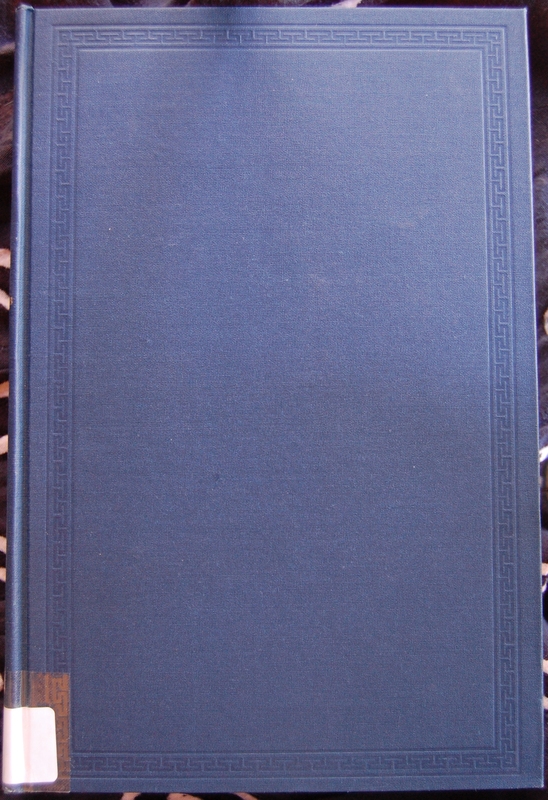 The decline in quality of the Heritage Club editions seems to have been in the bindery which was always a separate entity since the Heritage Press had no bindery operation. 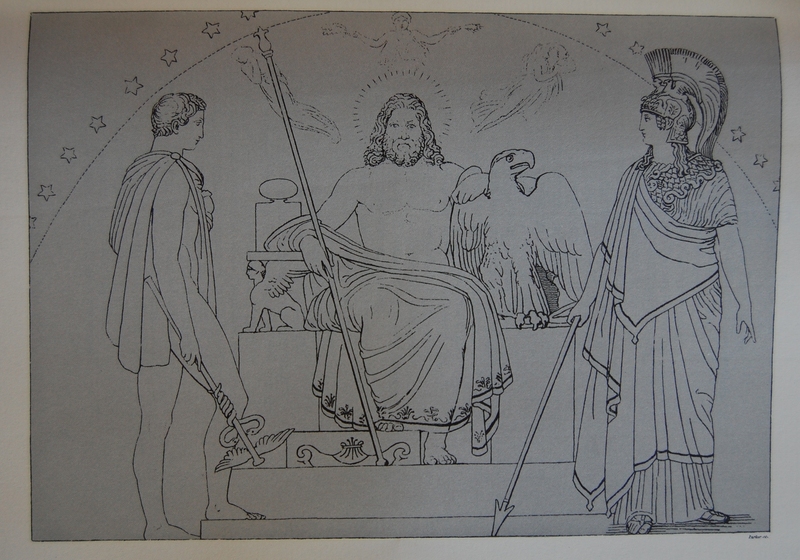 It should be noted that the Flaxman illustrations are unique to the Heritage Club and, consequently, to Easton Press. The original LEC editions had no illustrations. The handset type by Jan Van Krimpen was a stupendous job and probably negated any money for illustrations. I have both the LEC Homer books of the 30s with the pages uncut, thus never read. I am rebinding both this year since they were bound in such a light fabric that most of these heavy books did not survive in totlal. I also have the prose translation printed under Shiff and illustrated by Barry Moser. The translation is in prose by T. E. Shaw, Lawrence of Arabia. You can read a rhyming verse translation (Pope) or a free verse translation (Fagles), but a prose translation make for a soemwhat dull and insipid Homer. 1) I’ve seen printing quality decline on reprints of Macy’s HP’s printed in the Connecticut era, as well as subpar binding work as you mention. That’s one area I don’t know a ton about is the transition period between the Macy’s and Cardevon beyond the names of the owners. 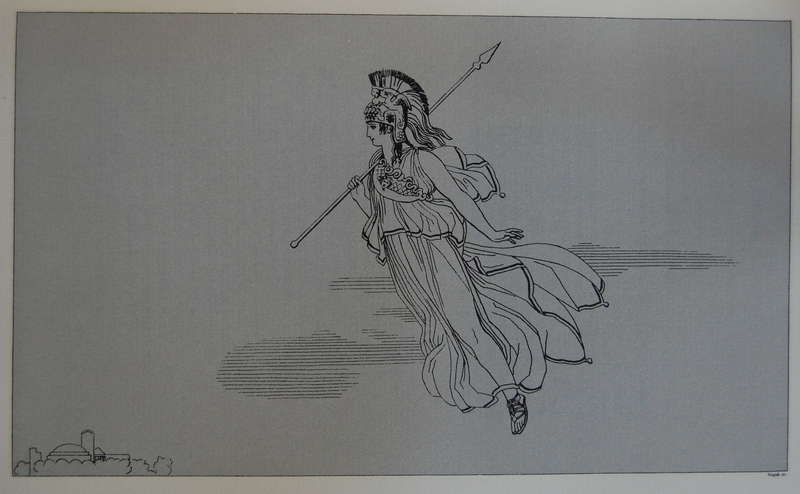 2/3) I did note that in the Iliad post – I didn’t want to parrot myself too much. However, I would love to quote you on the other two editions of the Odyssey in my actual post if you don’t mind. Thanks for the additional insights! 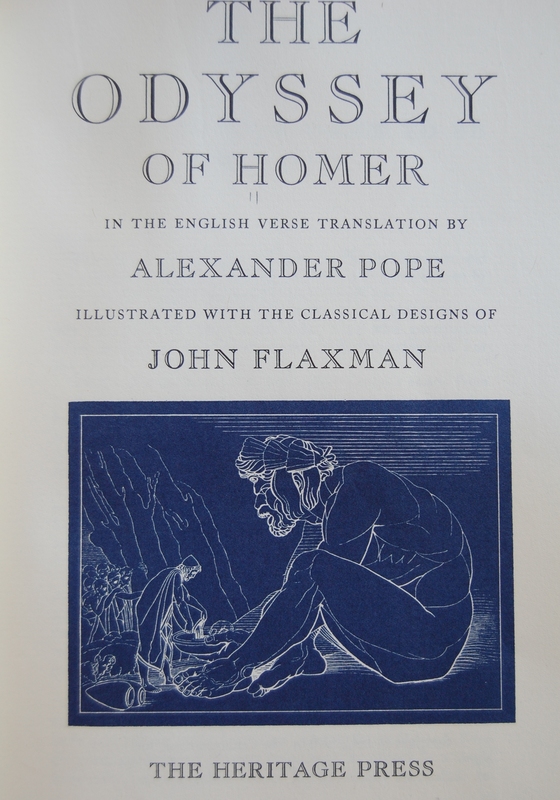 You are currently reading Heritage Press – The Odyssey by Homer (1970, Connecticut) at The George Macy Imagery.